* To provide a consistent object-oriented programming environment whether object code is stored and executed locally, executed locally but Internet-distributed, or executed remotely. * To provide a code-execution environment that minimizes software deployment and versioning conflicts. * To provide a code-execution environment that promotes safe execution of code, including code created by an unknown or semi-trusted third party. * To provide a code-execution environment that eliminates the performance problems of scripted or interpreted environments. * To make the developer experience consistent across widely varying types of applications, such as Windows-based applications and Web-based applications. * To build all communication on industry standards to ensure that code based on the .NET Framework can integrate with any other code. 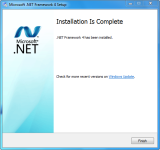 The .NET Framework has two main components: the common language runtime and the .NET Framework class library. 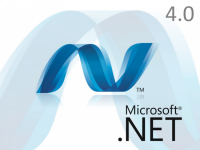 The common language runtime is the foundation of the .NET Framework. You can think of the runtime as an agent that manages code at execution time, providing core services such as memory management, thread management, and remoting, while also enforcing strict type safety and other forms of code accuracy that promote security and robustness. In fact, the concept of code management is a fundamental principle of the runtime. Code that targets the runtime is known as managed code, while code that does not target the runtime is known as unmanaged code. The class library, the other main component of the .NET Framework, is a comprehensive, object-oriented collection of reusable types that you can use to develop applications ranging from traditional command-line or graphical user interface (GUI) applications to applications based on the latest innovations provided by ASP.NET, such as Web Forms and XML Web services. Internet Explorer is an example of an unmanaged application that hosts the runtime (in the form of a MIME type extension). Using Internet Explorer to host the runtime enables you to embed managed components or Windows Forms controls in HTML documents. Hosting the runtime in this way makes managed mobile code (similar to Microsoft® ActiveX® controls) possible, but with significant improvements that only managed code can offer, such as semi-trusted execution and isolated file storage. · Performance improvement including better multicore support, background garbage collection, and profiler attach on server. · New memory mapped file and numeric types. · Easier debugging including dump debugging, Watson minidumps, mixed mode debugging for 64 bit and code contracts. · Innovations in the Visual Basic and C# languages, for example statement lambdas, implicit line continuations, dynamic dispatch, and named/optional parameters. 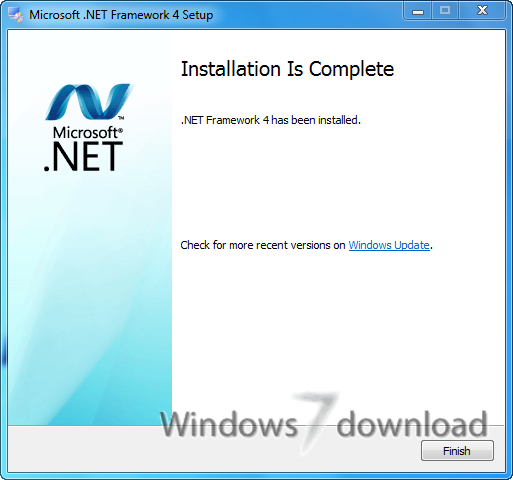 All Microsoft .NET Framework 4 reviews, submitted ratings and written comments become the sole property of Windows 7 download. You acknowledge that you, not windows7download, are responsible for the contents of your submission. However, windows7download reserves the right to remove or refuse to post any submission for any reason. 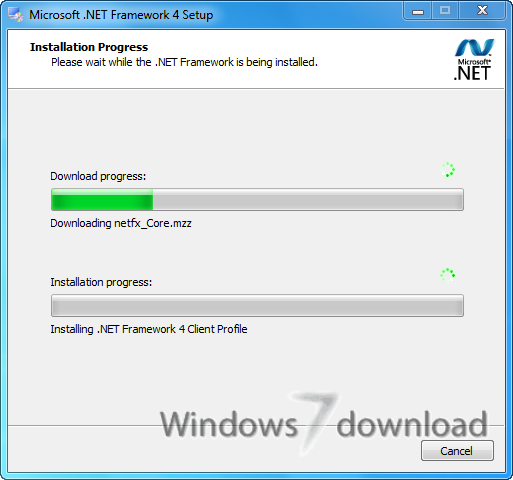 Windows 7 Download periodically updates pricing and software information of Microsoft .NET Framework 4 full version from the publisher, but some information may be out-of-date. You should confirm all information. Using warez version, crack, warez passwords, patches, serial numbers, registration codes, key generator, pirate key, keymaker or keygen for Microsoft .NET Framework 4 license key is illegal and prevent future development of Microsoft .NET Framework 4. Download links are directly from our mirrors or publisher's website, Microsoft .NET Framework 4 torrent or shared files from free file sharing and free upload services, including Rapidshare, MegaUpload, YouSendIt, SendSpace, DepositFiles, DivShare, HellShare, HotFile, FileServe or MediaFire, are not used. very useful for some application to run.